In a move that was expected as soon as free agency started, the 49’ers have given quarterback Alex Smith a one-year deal that reports say is worth $5 mil. 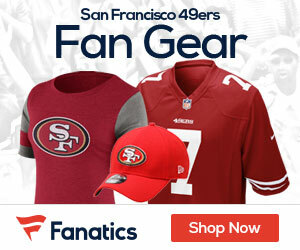 San Francisco picked Colin Kaepernick in the second round out of Nevada in April’s draft, but Smith had been expected to return as the 49ers’ starting quarterback. Despite being a free agent, the 27-year-old Smith organized the 49ers’ player workouts during the lockout. The top pick in 2005 said he made the decision to return to the 49ers after speaking with new coach Jim Harbaugh and, in part, because he wants to prove he wasn’t a Bay Area bust. Be the first to comment on "QB Alex Smith Gets a One-Year Deal Worth About $5 Mil"